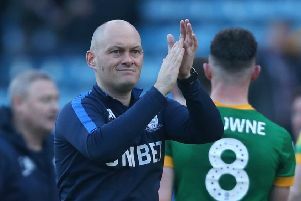 Preston boss Alex Neil says a ‘collective effort’ throughout the club is behind his side’s push into play-off contention. The Lilywhites will resume action after the international break in seventh place, only goal difference keeping them out of the play-off zone. Eight games of the regular season remain and Neil feels confident that North End can maintain their challenge. Neil said: “This has been a proper collective team effort throughout the club. “The recruitment has been good and we have some really good young players here. “I would like to think they have improved with some of our coaching and they have performed well on their own merit. “When you combine all of those things it can make for a successful season. “It is difficult to pinpoint one thing or take credit on my own behalf . “At a club like Preston, it starts at the bottom and works its way up the club. “We are always looking to improve and our focus now is getting ready for the next game at Reading. In terms of the workload, Neil has used the first week of the international break to give the squad something of a rest. They trained earlier in the week with some of the players involved in an in-house game against the youth team. Neil has given them a long weekend before the build-up begins to the Reading game a week today. There are several injuries for him to contend with at the moment. 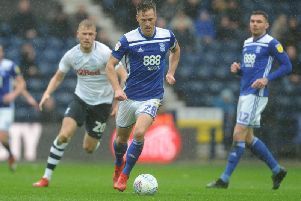 Alan Browne missed the win over Birmingham after hurting his ankle early in the game at Middlesbrough. Paul Gallagher was also missing for Birmingham, as was Tom Barkhuizen. Andrew Hughes and Brad Potts both limped off in the second half last week. Left-back Hughes, who has been a model of consistency in Preston’s unbeaten run, has a hamstring injury. Potts got a knock, last week’s contest having seen him return to the side after a two-match absence with a knee injury.